PSS Distributors guarantee that no matter what size the UPS installation, we treat each project with appropriate planning, implementation of specialist technology and skills to ensure reliable power protection. Uninterruptible Power Supplies, 19’ Data Cabinets, Power Supplies, Gecko Compact Enclosures, Wall Hanging Racks, Red Back Racks and more. PSS Proudly manufacture one of the greenest UPS worldwide – Green / Energy Saving UPS. The company has experienced organic growth throughout Australia, now distributing nationally in – Perth, Melbourne, Sydney, Brisbane and Darwin. 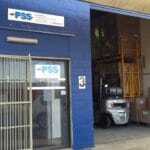 PSS now have 5 distribution centres across Australia, three of which are full service warehouses with sales staff, stock on hand and technicians on site. PSS currently employs 14 staff members and supply products throughout Australia & Africa. PSS have out performed the competition and tripled their turnover in the last 6 years. We attribute this to our dedicated customer satisfaction focus and support. Our target market is end users – from a one terminal PC (home, small business) user to Medium Businesses (Clinics/old aged homes/IT based business) and heavy Industrial Companies or Institutions (mines/hospitals/oilfields). While continually developing new partnerships, we operate through our channel partners in Electrical, Security and ICT Segments of the Wholesale Industry, who support end users, serviced by trade, integrators and installers. We are proud to list amongst our clients, major hospitals, financial institutions, mines sites and large international corporations including: Avis Car Hire (2 x 60KVA) , DHL (1 x 80KVA), BOC gases (1x 80KVA), Bunnings Warehouse (2000 x 600VA ), Bosch to name a few. Our units are manufactured world wide at the highest standards to suit most international certifications. With agents and distributors in Australia and throughout Africa our high quality and versatile products are continuously being widely distributed with great success. This is the key to our company’s fast growth, and sales team’s enthusiastic approach. We offer our clients 24 hour 7 days a week service with full technical back up for total peace of mind. Click through to read more about our quality of service and support. To ensure that no matter what size the installation, each one is treated as a project, with appropriate planning and implementation of technology and skills to ensure reliable power.